Here’s your last reminder about Record Store Day, which hits music retailers across the country for one day only tomorrow. It’s the one day of the year that we get to celebrate the humble record store, and some of your favourite retailers are pulling out all the stops to tempt you in with all manner of limited editions, special offers, big discounts and in some cases, live performances. A number of record companies have come on board with a selection of limited edition releases that will be available only on the day. 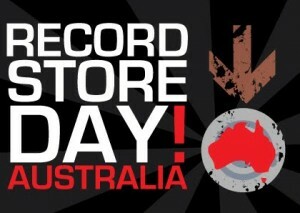 For all the information, including playing times, special offers, discounts and more, hit up www.recordstoreday.com.au.